Labradorite :: A blue, gray, green, or brown triclinic mineral that is a variety of plagioclase feldspar. It occurs in igneous rocks. If you should venture to the extreme North of Canada, to the Labrador Peninsula, perhaps you would stumble upon this brilliant stone. 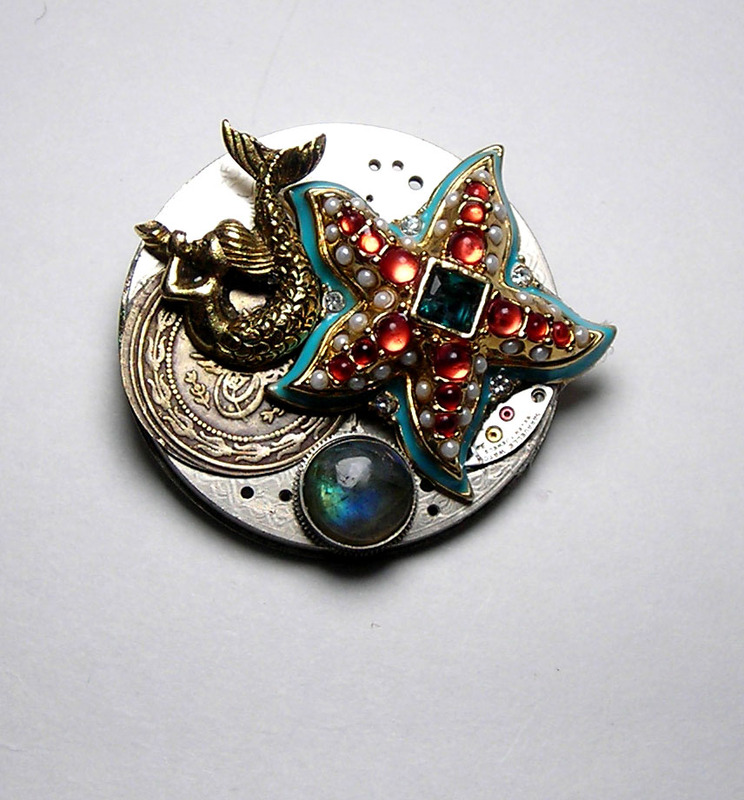 This is one of my favorite stones and I will continue to do everything in my power to get my hands on this ethereal-like gemstone that has the most breathtaking qualities. I owned a piece of this stone long before I knew what it was. These cabs are hard to come by and well worth every cent. Green Onyx ::: Green onyx is a mineral of the Earth that is a compacted and colored form of quartz. Unlike ordinary quarts, the crystalline structure is fine and compacted, making it ideal for gemstones, and cameos. 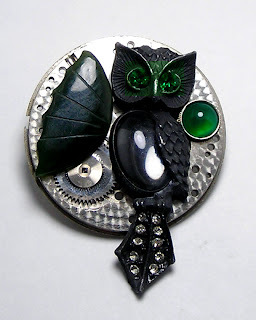 It also makes it ideal for this exquisite Steampunk Owl brooch, pendant, whatever you fancy, or, I haven't decided yet. I love that this stone rarely has any inclusions and has a smooth clear texture to it. It's color ranges from a light lime green to a vibrant forest green seen here. I have just received some vintage raw brass chain the the mail, can't wait to post updates on my work.